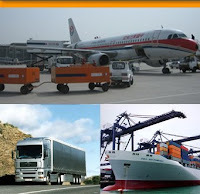 Import export businesses, also known as international trading, are one of the hottest commercial trends of this decade. American companies trade in over 2.5 trillion dollars a year in merchandise, of which small businesses control over 95 percent. As the owner of an import export enterprise, you can work as a distributor by focusing on exporting and importing goods and services that cannot be obtained on national soil (e.g., Russian caviar and French perfumes) or those that are cheaper when imported from other countries (e.g., Chinese electronics). In addition, you can also open an export management company (EMC), where you can help an existing corporation market its products in a foreign country by arranging the shipping and storing of the merchandise for them without doing the actual selling. EMCs can specialize in one industry or work with different types of import export manufacturers. It is also possible to act as a broker for a company, working on commission over the actual sales. This is a great choice for products that are guaranteed to sell because of high demand or an established brand name. While basically any country can offer opportunities for import export trade, Canada, Mexico, Japan, and China have topped the trading chart for the past two decades. In the last few years, countries in the former Soviet Union and South America have become major players, but there's still much to learn about trading with these new markets. Opening an import export business requires an initial investment of $5,000 or more, depending not only on the type of merchandise you're setting up to market, but also on whether you plan on working from home or renting an office, hiring employees, etc. Compared to other businesses, however, import export companies have a very low startup cost. While most products can be exported without the need for licenses, some specialty products or high-risk items, such as firearms or pharmaceuticals, may require special government permits. If that's the case, costs may run considerably higher. To get started, it may be sensible to consult with the local Board of Trade (or the Chamber of Commerce in smaller cities) or call Consulates and Embassies to find out if they have import export programs set up. 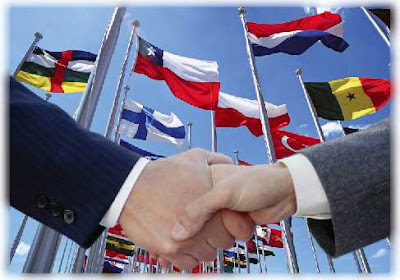 Many embassies even have a special department to promote the export of their goods to other countries and are more than happy to help potential import export traders. The transportation of goods into one country and out of another; also, the article imported. The term under the customs laws requires that the goods be brought voluntarily into this country, into the proper port of entry, and with an intent to unload them. If customs officials determine that an article has been imported into the United States, it is assessed a duty under customs laws, unless clear evidence is proved to the contrary. 375 F. Supp. 1360, 1361-1363. To be imported within the scope of the tariff laws, the goods must be from a country subject to our tariff laws and the goods must pass through the custody and control of the customs officials and into the custody and control of the importer. In economics, an import is any good or commodity, brought into one country from another country in a legitimate fashion, typically for use in trade. 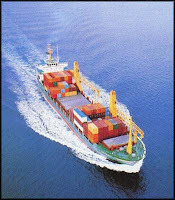 Import goods or services are provided to domestic consumers by foreign producers. Import of commercial quantities of goods normally requires involvement of the Customs authorities in both the country of import and the country of export. The word hotel derives from the French hôtel, which referred to a French version of a townhouse or any other building seeing frequent visitors, not a place offering accommodation. The French spelling was once also used in English, but is now rare. The circumflex replaces the 's' once preceding the 't' in the earlier hostel spelling, which over time received a new, but closely related meaning. 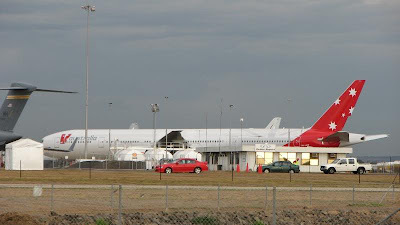 In economics, an export is any good or commodity, transported from one country to another country in a legitimate fashion, typically for use in trade. Export is an important part of international trade. Its counterpart is import. Export goods or services are provided to foreign consumers by domestic producers. Export of commercial quantities of goods normally requires involvement of the Customs authorities in both the country of export and the country of import. The theory of international trade and commercial policy is one of the oldest branches of economic thought starting with the ancient Greeks up to the present era. Exporting is a major component of international trade, and thus is argued constantly and consistently throughout the ages. Two dual views concerning trade present themselves. The first, recognizes the benefits of international exchange. The other concerns itself with the possibly that certain domestic industries could be harmed by foreign competition.